As small brewers fight for shelf and tap space while big brewers bring out new ingredients and styles, the little guys might need a few reinforcements to keep up the fight. PORTLAND, Ore. (TheStreet) -- When we talk about "craft beer" from this point on, realize that we're talking about more than 2,500 distinct U.S. breweries. They'll all have beermaking in common, but that's about it. According to the Brewers Association craft beer industry group, the number of breweries in the U.S. was up to 2,722 by the end of last year. That's more than the 2,685 breweries that appeared on the Register of United States Breweries in 1876, but still shy of the 3,286 that existed in 1870. The Brewers Association notes that there were another 1,744 breweries in the planing stages at the end of December, though. So who gets to decide which are "craft" and which aren't? Not Anheuser-Busch InBev and the SABMiller/MolsonCoors joint venture, whose products still account for more than 75% of all U.S. beer sales. Not Heineken and Diageo with their imported suds. No, that responsibility lies with the Brewers Association and its voting members alone. The Boulder, Colo.-based industry trade group brings together breweries, home brewers and local brewers guilds for cool parties such as the Great American Beer Festival and keeps track of growth within the industry. It also includes several of the aforementioned big brewers on its member rolls. That's understandable, as the greater beer industry has to protect its market share from wine and spirits. According to the Demeter Group, beer's market share shrank from 55% of the overall U.S. alcohol market in 2000 to 49% in 2011. It also engages in a vigorous defense of the term "craft" that's become increasingly necessary as A-B InBev and MillerCoors combat slumping light lager sales with their own craft-inspired Blue Moon, Leinenkugel's and Goose Island brands. With competing pieces of legislation threatening to redefine "craft beer" by production volume for the sake of cutting taxes on brewers, the Brewers Association is drawing what it considers necessary battle lines. To ensure craft beer's survival, the Brewers' Association has produced a tightly worded definition of "craft brewer" to serve as its unwavering guideline. It also offered up its controversial Craft vs. Crafty statement on the topic in 2012 and produced a list of "non-craft beers" as a guide for consumers. All of this has come at a price. For one, the Brewers Association's definition of "craft brewer" has been inconsistent. A revision in 2011 changed its limit for "small" brewers from 2 million barrels to 6 million, with the clear beneficiary of this change being Samuel Adams producer Boston Beer. That group turned out nearly 3 million barrels of beer alone last year, while every other brewer that BA considers "craft" produced 1 million or fewer. Boston Beer's business is bolstered by its Twisted Tea malt beverages and Angry Orchard cider. Its Alchemy & Science division in Vermont not only produces a Leinenkugel's-style shandy, but bought out both Angel City Brewing and Coney Island Craft Lagers in recent years. Founder Jim Koch, meanwhile, defended BA's definition of craft beer at a spring conference only to turn around and defend his business practices from the criticism of fellow craft brewers. Meanwhile, BA's current craft brewer definition and Craft vs. Crafty list excludes a number of independent, pre-prohibition brewers and craft pioneers from the initial microbrew boom of the 1980s. It's a position that's becoming increasingly tough to defend, especially with "craft" brewers including Brewery Ommegang in Cooperstown, N.Y., and Boulevard Brewing in Kansas City, Mo., now owned by Belgium-based Duvel Moortgat. Why it's not craft: Uses adjunct ingredients in its beer, not "traditional"
The Brewers Association doesn't like that this brewery's main beer is a maize-fueled light lager. OK, but not "traditional"? Your little clubhouse was built in 2005 while this brewery has been in existence since 1829. It survived prohibition, you survived Bud Light Platinum. Get off the high horse. The problem is that the Brewers Association doesn't know what to do with a regional brewer such as Yuengling. You could knock it for brewing nearly 3 million barrels of beer in 2012 to become the largest American-owned brewery in the country, but then you'd have to do the same for Boston Beer. That would take all of Boston Beer's growth out of the equation, too, which is disastrous when craft beer's mouthpiece hitches so much of small brewing's success to numbers. In 2012, small and independent craft brewers as defined by the Brewers Association saw their industry grow 15% by volume, driven by big gains for Boston Beer. In the first half of 2013, volume grew by an additional 13%. A lot of Sam Adams went into those numbers as well, though much of Boston Beer's 20% first-half gain in 2013 came from cider. Instead, the Brewers Association points to the fact that Yuengling uses corn in its mix and accuses it of cutting corners and trimming costs. The problem is, as we've pointed out before, older breweries founded by German immigrants tend to use a bit of corn in their recipes because they didn't have access to two-row barley from home and had to cut into the higher protein found in the native six-row barley. Considering how much of the the backlash that followed Goose Island's recent buyout by A-B centered around how its recipies might change, one would assume those aggrieved craft beer geeks would welcome a brewery such as Yuengling sticking to its original formula for all these years. Besides, it isn't as if Yuengling is cheaping out. With the price of corn exploding after the biofuel push of the 2000s, nobody's getting a break by subbing in corn for malt. 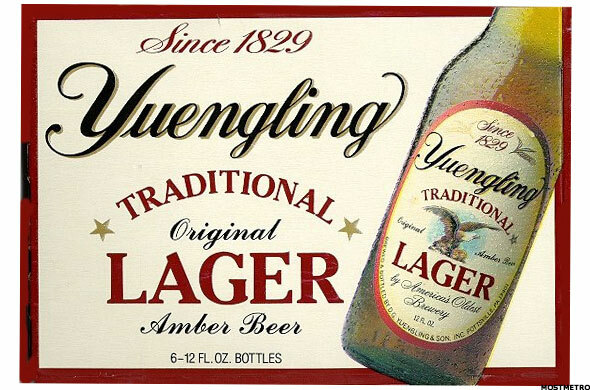 Besides, even Pennsylvania craft breweries aren't opposed to keeping Yuengling around. Not only does Yuengling take part in craft events such as Philly Beer Week these days, but it's also teamed up with craft brewers such as Victory Brewing to address issues including self distribution that affect craft and regional brewers alike. With the Brewers Association already including Yuengling among its members, it wouldn't kill BA to let a friendly, independent face into the mix. The folks in New Ulm, Minn., really don't appreciate folks calling their beer "crafty," never mind "not traditional." 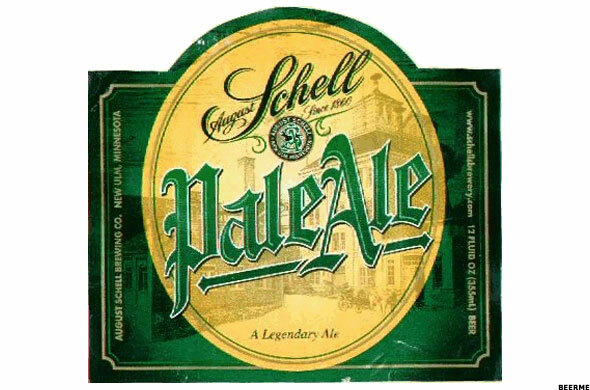 Founded in 1860 by German brewer August Schell, this brewery is the second-oldest family-run brewery in the U.S. behind Yuengling. It survived Prohibition by producting "near beer," soft drinks and candy and, in 2002, saved century-old Grain Belt brewing from oblivion by bringing it into the fold. That move didn't sit well with BA, as Schell's flagship Deer Brand and Light beers and Grain Belt's light lagers all used adjuncts. When BA reserved Schell a place on the "crafty" list, however, the brewer didn't take it quietly. The brewery tore into BA and pointed out just why old-line German brewers use maize in their recipes. Keep in mind, they had to break this down to an organization that's supposedly steeped in beer knowledge and ostensibly uses that knowledge to draw discriminating beer lovers. But education has been a huge part of Schell's latter-day existence. It kept styles such as Bock, Maibock, Hefewizen, Marzen, Alt and Gose alive while its BA counterparts were stumbling over each other to see who could empty a dump truck full of hops into their boil first. Its Chimney Sweep dark lager, Schell Shocked Radler and Zommerfest Kolsch held to traditional German recipes that the craft beer community is just getting around to revisiting. If BA has any sense of U.S. brewing tradition, it's because brewers such as August Schell's stayed around and avoided buyouts by big beer companies long enough to remind craft brewers what that tradition is. Keeping them out of the club over a little bit of corn is not only unconscionable, but represents a fundamental misunderstanding of the word "tradition" that's so key to BA's definition of a craft brewer. We can't figure out what the old Pennsylvania brewers did to the folks at BA, but it must have been particularly cruel. Did they say a hot new brewery's radler tasted like store-brand orange soda? Did they say a Samuel Adams' Kolsch tasted good for something brewed in a Mr. Beer? Do they keep copies of BA leader Charlie Papazian's book The Complete Joy of Home Brewing around their breweries as bathroom reading? Whatever they did, it must have been terrible to warrant the attention paid to them on the group's Craft vs. Crafty list. We can understand Pittsburgh's Iron City being declared "non-craft," as its cans of low-end lager have done little to convince people otherwise despite sticking around since 1861. We can even see why Wilkes-Barre's Lion Brewery made the list, as it's been around since 1905 but does a bunch of contract brewing work for Pabst. But Straub? That's just nonsense. Straub isn't distributed too far beyond its home in St. Marys, Pa., and only travels about as far as Ohio. It gives drinking-age visitors to its Northwest Pennsylvania brewery free beers from the "Eternal Tap" in its brewery wall. Its lager recipe hasn't changed since the brewery was founded in 1872. As former Pennsylvania Gov. Robert Casey once said "Bud is Bud and light is light, but Straub is Pennsylvania." BA is perfectly content to give "Pennsylvania" the finger at each opportunity. For its part, the Brewers Association argues that Straub isn't craft for the same reason that just about every brewer that survived prohibition isn't craft: Their beers have corn in them. Such a thing was apparently unthinkable in 2005, when the Association of Brewers and the Brewers' Association of America merged to form the Brewers Association and "promote and protect small and independent American brewers, their craft beers and the community of brewing enthusiasts." At that time, there were any number of ingredients available for craft brewers to use. Stunningly, for German immigrants such as Peter Straub settling in the U.S. in the late 1800s, plucking two-row malt from any spot on the globe and dumping a ton of of bittering and aroma hops up to your brewkettle just wasn't possible. Instead, German brewers had to throw some corn into the mix just to counter the effects of American malt. 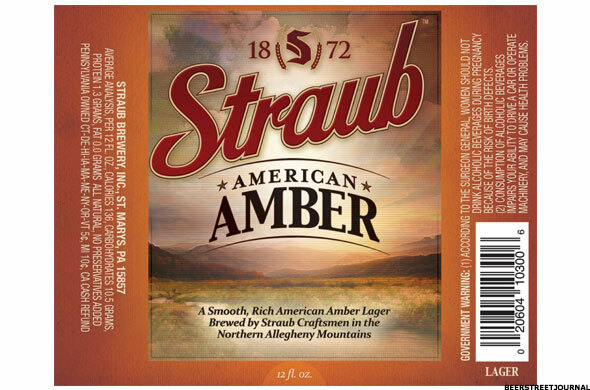 It's an important part of U.S. brewing history and one that brewers including Straub have painstakingly preserved. It's also an example of improvisation and ingenuity that the Brewers Association claims to support, but routinely talks down if it didn't take place sometime after 1975. BA doesn't mind having Straub among its members: It just wishes it had a few dozen more IPAs and limited-release Russian Imperial Stouts to offer. You know, original and creative beers. Why it's not craft: "Imported adjunct beer sales exceed domestic production"
This has nothing to do with Pyramid's apricot beer, its brewpub in Seattle, its restaurants or its bland labeling that make it look oddly like Costco house brew. 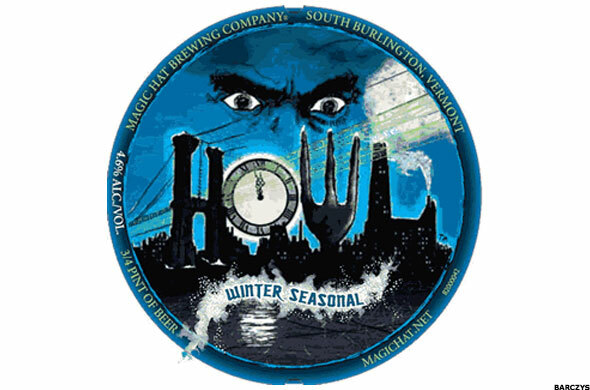 It has nothing to do with Magic Hat's apricot beer or its Burlington, Vt., brewery being surrounded by high-profile competition such as Hill Farmstead and Heady Topper maker The Alchemist. This has everything to do with who's owned these two breweries and, more importantly, who owns them. Pyramid's been on a wild ride since 2008, when it was sold to Magic Hat Brewing of roughly $25 million. Just two years later, investment firm KPS Capital Partners and its North American Breweries snatched up Pyramid and Magic Hat and included them in its stable alongside beers such as Genesee Cream Ale, Dundee Honey Brown, Canada's Labatt Blue and Costa Rica's Imperial. The Brewers Association didn't like that and Pyramid's parent company for selling too many imports, but Pyramid and Magic Hat's current situation is even more globally complex. In 2012, KPS Capital sold NAB to Cerveceria Costa Rica, a subsidiary of Florida Ice and Farm, for $388 million. That makes Pyramid, Magic Hat and tiny Portland, Ore.-based Portland Brewing even more minute portions of a large international conglomerate. Even that probably wouldn't have been such a big deal if Pyramid and Magic Hat hadn't come from such inherently crafty beginnings. The tiny, creative Washington and Vermont breweries reacted about as poorly as they possibly could to consolidation. They became more standardized and far-out favorites faded away. While other craft beers have seen sales soar in the past five years, Magic Hat and Pyramid combined to sell 337,000 barrels in 2012. That's about equal to the 336,000 they sold both the year before and in 2008. By comparison, Deschutes Brewery in Bend, Ore., is just behind Magic Hat and Pyramid with 253,000 barrels sold in 2011, but increased sales from 182,000 in 2008. Beer Marketer's Insights still views these brands as craft and notes that they are independently run, but their murky ownership and results seem to be exactly what the Brewers Association is trying to avoid. Why it's not craft: "Owned about 35% by A-B"
Well, it's 32.2%, but why make a big deal about percentages, right? Beer Marketer's Insights doesn't, which is why Executive Editor Eric Shepard includes CBA in its craft beer numbers. That group's Widmer Brothers Brewery operation got its start when Kurt and Rob Widmer opened shop in Portland, Ore., in 1984. Its Redhook brand, meanwhile, has been around since 1981 and has breweries in Washington and New Hampshire. Even relative newcomer Kona Brewing has made beer on Hawaii's big island since 1994. In Shepard's view, all of that far outweighs the percentage of A-B ownership. "The notion that Rob and Kurt Widmer aren't craft brewers is an absurdity to me," he says. "At 24% [A-B ownership share] they're pure and at 26% they're dirty? There's a certain sense of it being ludicrous." And it is. That 25% number has an arbitrary whiff to it, considering that A-B's stake in CBA basically amounts to a distribution agreement. With no real administrative control or production input, A-B functions more as a partner and lender. 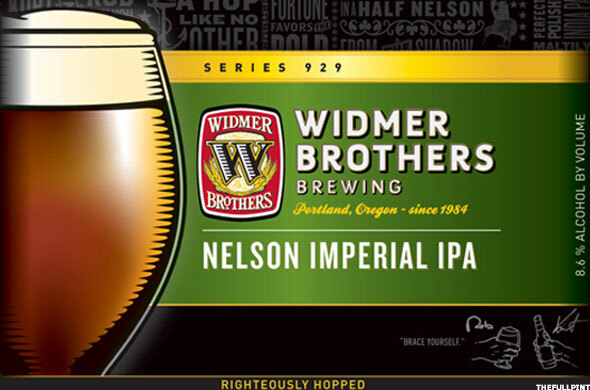 Meanwhile, the Widmer Brothers still have a big stake in the company and Kurt Widmer still serves as its chairman. Their brewery still serves as the company's creative craft nexus, while the Redhook brand has been revived as a gateway beer for non-craft drinkers. Through partnerships with sports radio host Dan Patrick and the Buffalo Wild Wings restaurant chain, Redhook is doing what its cred-obsessed "craft" counterparts are too aloof or scared to do: going after former light-lager drinkers where they live. As a result, CBA production has grown from 571,000 barrels in 2008 to 675,000 by 2012. If it was considered "craft," it would be the fourth-largest craft brewery in the country. BA, meanwhile, holds to its 25% threshold to not only keep CBA out, but to keep Athens, Ga.-based Terrapin Beer in after that brewery sold a quarter of itself to MillerCoors' Tenth & Blake "craft" division in 2011 to buy out investors. BA want to put as much distance between itself and the big brewers as possible, but it does so by punishing small, pioneering brewers who worked the system and got A-B to do their heavy lifting for them. >>Wait, We Weren't Finished With Dark Holiday Beers Yet!